Technical Update #13: Mini-Wakfu Unlocked and New Pledge Level Rushu! So much to update and so little time! First, congratulations to you all! The project has now raised over $250,000 and we are over 3000 backers strong! That's right! Now every Blu-Ray shipped to our backers will also include the entire set of 27 Mini-Wakfu episodes, both dubbed into English, and also with the original French audio, plus English, Spanish, and French subtitles. In celebration, we want to share with you the first Mini-Wakfu episode, pre-dub! Yes, it's still in French, but just below, we've added the script for this episode in English, so you can follow along! 1)	YUGO: Oy, you can’t stay there! This isn’t the place for a nap! 2)	YUGO: Mind you, he looks really sick… We might be able to do something about that, Az. 3)	YUGO: A low heat, stir a little. The Gobball Leg needs to be cooked properly. Salt! Pepper! 4)	YUGO: …and to finish, lots of love! We end up with Alibert’s special stew! 5)	YUGO: Mmmmmm… Perfect! If that doesn’t sort him out, I don’t know what will. All that’s left is to put the stew in a nice briochette! 6)	YUGO: Wow, that’s the first time I’ve ever seen someone eat while they’re asleep. Amazing! And now, another cause for celebration! Some of you may remember that in Technical Update #10, we shared some illustrations that were works-in-progress and told you that it was for a new pledge tier. Well, the time has come to reveal that pledge. 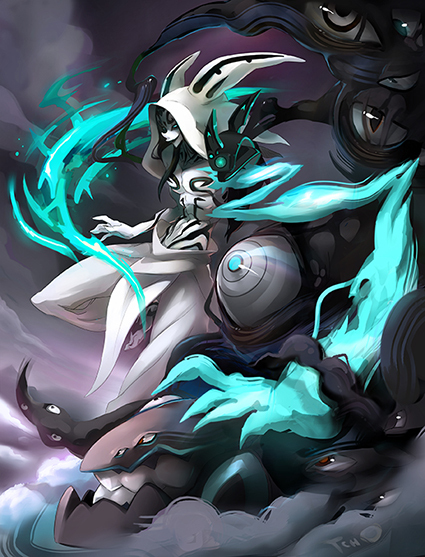 Four of our artists were given one week to design and complete one special Wakfu illustration, just for this campaign. These four special prints will only ever be available through this Kickstarter, and in very limited quantities. Here is the list of the rewards included in this new $800 "Rushu" pledge which is limited to 30 Backers. And the locked stretch goal? A special announcement will be posted tomorrow to tell you more... we'll see you then! Until that time, thank you, we love you, and happy weekend to you all! Malteさま, Gaby GM, and 19 more people like this update. Will those pictures be in the Digital Fan Pack? Please say they are. Wow, if I had $800 to spare I'd probably give in to this pledge. Goball** Heheh. Really liking the art style of these mini episodes. Goldmine is simply stunning, The color and detail is just beautiful. Yugo and Amalia look adorable on their print (hoping this scene come up in the OVA). Can't wait for tomorrow's announcement. I'm glad to be a part of this. Go go go for $300,000!! i want these prints so badly.